This 4K train stock footage video clip is of a passenger train departing a train station during daytime. Stock Footage – Passenger Train Departing 4K was captured with a cine-like shutter speed of 1/48th of a second and a frame rate of 29.97 FPS in stunning ultra high definition (UHD). Like all of our 4K stock footage, this clip is also available in high definition (HD) in both very high quality and more affordable h264 versions. 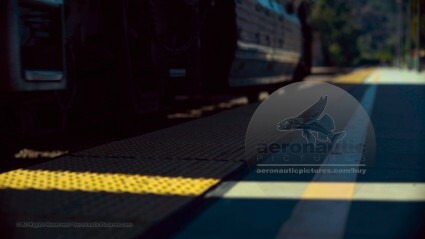 This train station stock footage features a train sitting next to the empty platform, and, out of focus while clearly recognizable for what they are, people and vehicles are seen in the far background as this passenger train disappears into the distance. Even the crossing signals are visible lifting (opening) after the train leaves and cars and other vehicles start to move once again. Running time is 1 minute 42 seconds and it is silent (MOS). With inexpensive stock footage purchase options, the price is amazing for train stock footage of this quality! 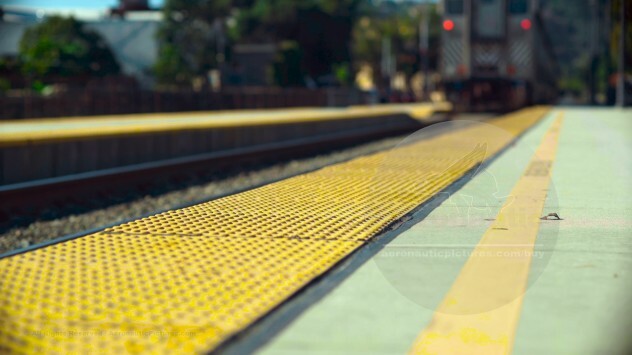 4K Train Stock Footage – Download Royalty Free – Ultra High Definition stock footage. Buy it now! 4K Train Stock Footage – Passenger Train Departing HD: This is the start of this train station stock footage clip showing the train stationary preparing to leave or depart from the train station. Please note: We have many individual 4K train stock footage clips. Only a small percent are in this shop but we are adding more for you to download all the time. Meanwhile, please use our contact form if you don’t see the high definition or SD train stock video you seek.